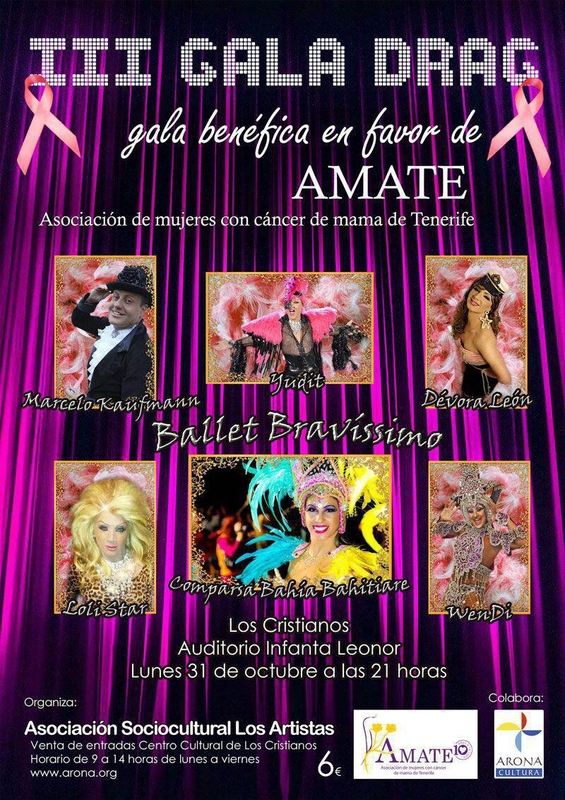 For the third time running breast cancer association Amate (love yourself) will be holding a fabulous Charity Drag Gala in Los Cristianos - so join in the fun for a good cause! A whole host of glamorous drag artists will entertain be there to entertain you at the Infanta Leonor Auditorio at 9pm on Monday 31st October. You can pick up your tickets between 9am and 2pm at the auditorium’s cafe.